Certified Veterinary Office Assistants (CVOA) are vital to the staff at Veterinary Hospitals, Animal Shelters, Kennels, and private animal clinics. Certified Veterinary Office Assistants (CVOA) are qualified to perform administrative, front office duties, such as scheduling appointments, billing and accounting, managing medical records, and managing inventory. According to the U.S. Bureau of Labor Statistics, Certified Veterinary Office Assistants (CVOA) are expected to experience close to a 20% rise in employment through 2020, accounting for nearly 40,000 new jobs. 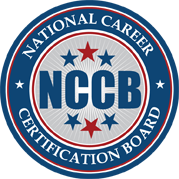 Achieving the National Career Certification Board’s Certified Veterinary Office Assistants (CVOA) will demonstrate individuals have mastered the required skills to be effective as part of the reception staff in addition to the abilities to work directly with animals to keep them safe and healthy. The benefits to becoming a Certified Veterinary Office Assistant (CVOA) may include more job opportunities, higher wages, and increased job security.